West End was selected from a field of 30 nominees as one of the Signatures of Loudoun winners for 2018. Since 2005, Loudoun County Economic Development has sponsored this design awards program. The Loudoun County Design Cabinet, a volunteer group of architects, engineers, planners and designers dedicated to supporting quality design in Loudoun County, revealed the winners of their 2018 Signatures of Loudoun Design Excellence Program awards in June. “Companies showcase their identities in amazing ways in Loudoun,” said Loudoun Economic Development’s Executive Director Buddy Rizer, whose department sponsors the design awards. 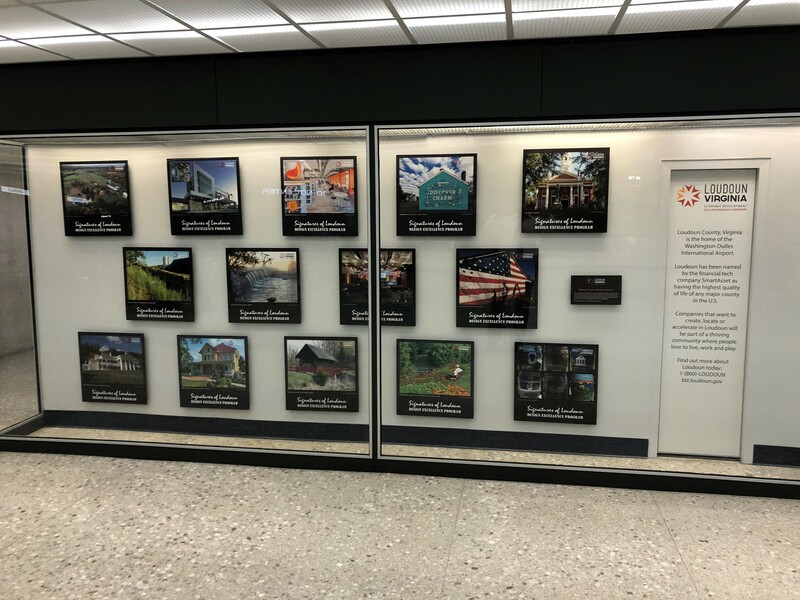 The winners are now featured in a display at Washington Dulles Airport. This display is located in the baggage claim around doors 3/4. Come see the real thing for yourself when you visit West End!